Our today’s guest is the strong evidence for the statement that “If you do what you love, you do it well”. Meet Alex Harris - Creative Director at Alex Designs LLC, CRO & Website Consultant for e-Commerce, designer, author of an Amazon best seller in 2014 and a person who “does it well” indeed. On the request of Cart2Cart Team, Alex kindly agreed to become a part of fascinating series of interviews and share his thoughts and knowledge on e-Commerce. Q: Okay Alex, let’s get the ball rolling. What is the funniest joke you know? Q: So, being a Creative Director at Alexdesigns.com nowadays, were where you 10 years ago? What are the biggest achievements of your company and you in particular? 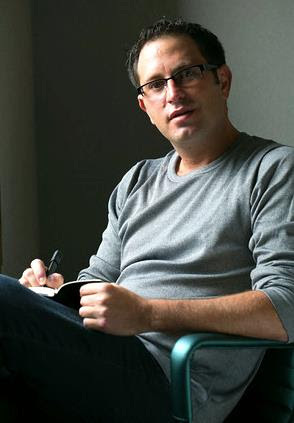 ​10 years ago I was working as Creative Director customer acquisitions for eDiets. A popular diet and fitness websites. I handle all their conversion testing, landing pages and display advertising. We have designed several websites that have won awards. Recently won gold award for banking website. 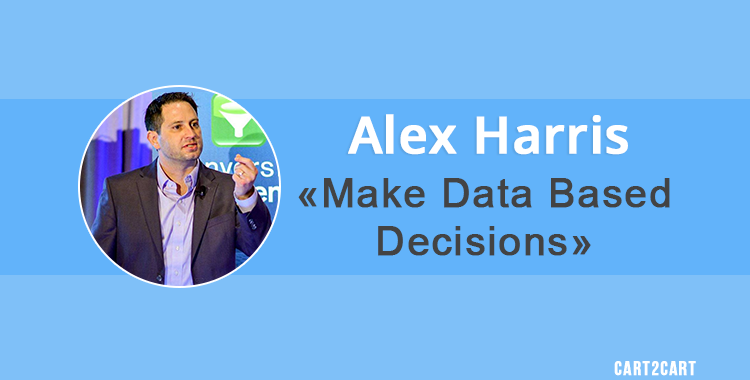 ​PPC Hero named Alex Harris the "#4 Top Influential Conversion Rate Optimization Expert of 2014”. My first book "Boost E-Commerce Sales and Make More Money" as an Amazon best seller in 2014. And I have new book coming out 6/29/2015, called Small Business Big Money Online. Q: Having 14 years of experience under your belt, what are 3 most important things you’ve learned about creating the best user experience? The more research you do, the better long-term results you will get. Specifically qualitative insight and quantitative data.​ Make data based decisions. It's not that hard to create a pretty website anymore, it's difficult to make it convert visitors into sales. You need to learn from experience to accomplish a successful web design. Don't Make People Think. A great user experience is simple and direct to accomplish the goals and remove friction. Q: What is the best practice for website funnel optimization? The only best practices I know are based on proven results of my testing. For funnel optimization, you need to think of the entire customer lifecycle. The user journey starts before they arrive at your website and before they search keywords on Google.​ The best practice is understand the emotional triggers that are attracting these visitors to your website. Then create an Ideal Click M.A.P. - Marketing Along Path.​ Start with personas, list all the reason a customer needs your product. Then list all the keywords they would search for. All list all the place this persona hangs out online. This is your ideal customer. Now map out the perfect customer to turn visitors into prospects into leads and then into customers. Q: One of the latest trends in web design is the usage video backgrounds. What are your thoughts on this subject? Can e-merchants take advantage of it? Q: Many of our readers are planning to or have already performed automated shopping cart migration. Have you ever dealt with it? What would be your recommendations for merchants who’ve just migrated? Q: Are there any particular shopping carts you prefer working with? ​My preferred solutions are Shopify, Bigcommerce and Magento​. Yet there are many others that have potential. And I am looking forward to Woocommerce getting even better in the future. Q: Finally, it seems like one of your latest books - “Boost Ecommerce Sales & Make More” - became #1 Amazon Best Seller. For those readers who are not acquainted with it yet, could you please speak a few words about the book? What are the main recommendations there? In this book, there are 300 different tactics to increase conversions, generate more leads, and maximize ROI. The key is to find the most profitable tasks and start with those. The advice outlined should be organized into an annual marketing calendar. A marketing calendar is an organized schedule of when you need to create and promote the marketing throughout the year. This way, you can proactively set up the success of your e-commerce website. The book starts off with general advice about driving traffic to your website. Then, it details how to better understand your target customer. This is where we start to understand exactly to whom you should be marketing and why. Creating personas and your customer avatar will help you determine how and where you should be marketing your products. Next, I dive into specific areas of an e-commerce website. Each section has specific tips to maximize the effectiveness. I recommend trying as many of the tips as possible. Not all the advice will work exactly as I have outlined it. You need to test and experiment to determine the right approach for you. Finally, you will hear specific suggestions on how to make more money from your e-commerce website. This money will come not only from new customers but also from repeat customers. This strategy is to help improve retention, resulting in a larger lifetime value. That includes suggestions for when your customers receive their products at their home or office. Cart2Cart Team is highly grateful to Alex Harris for making this interview possible and sincerely wishes him and all our readers good luck and unremitting growth. Stay tuned for more exclusive interviews ahead!